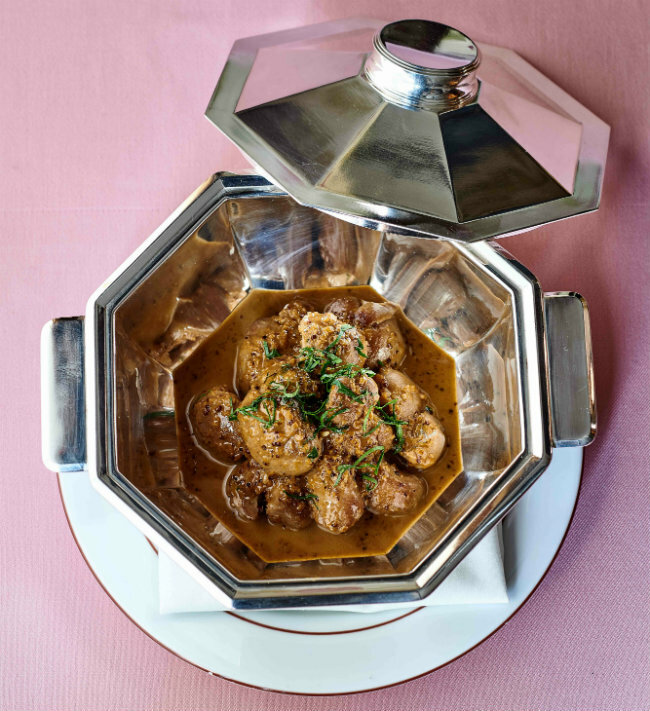 “I’ve always dreamed of owning an authentic bistro,” said the two star Michelin chef last Thursday, proud to present La Poule Au Pot version Jean-François and Elodie Piège. 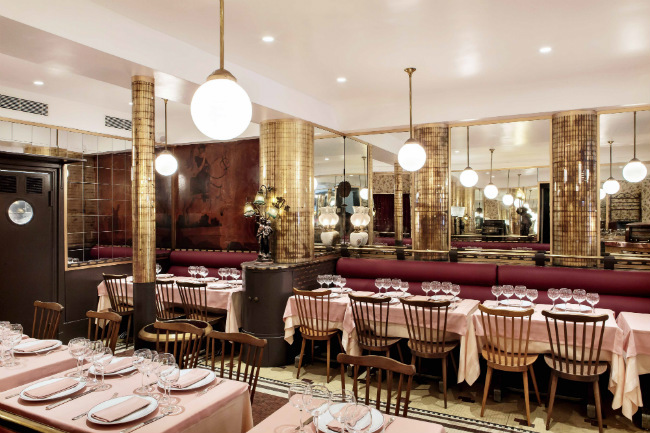 The iconic restaurant located on rue Vauvilliers, near Les Halles, was founded in 1935. “With Elodie, we are only the third owners in more than 80 years! The Racat family handed over to us, happy that we would keep the heart and soul they had created for forty years,” says Piège. 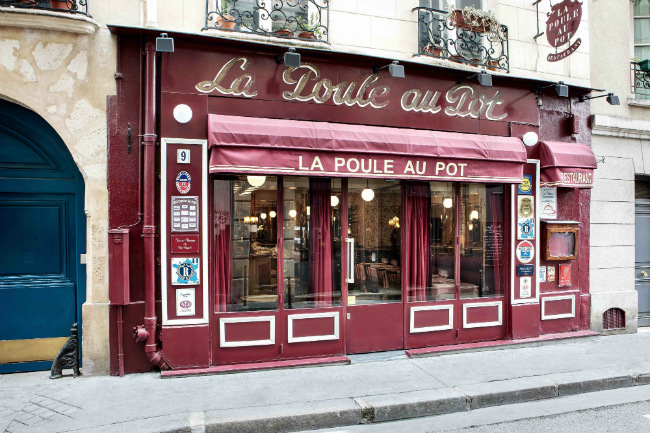 La Poule Au Pot, this institution of Les Halles, originally famous for serving until 5am, and for hosting every celebrity you can think of, name-checked on the walls with bronze plates. “We have renewed the kitchen and given the space a few nips and tucks but the room hasn’t changed,” explains Piège. 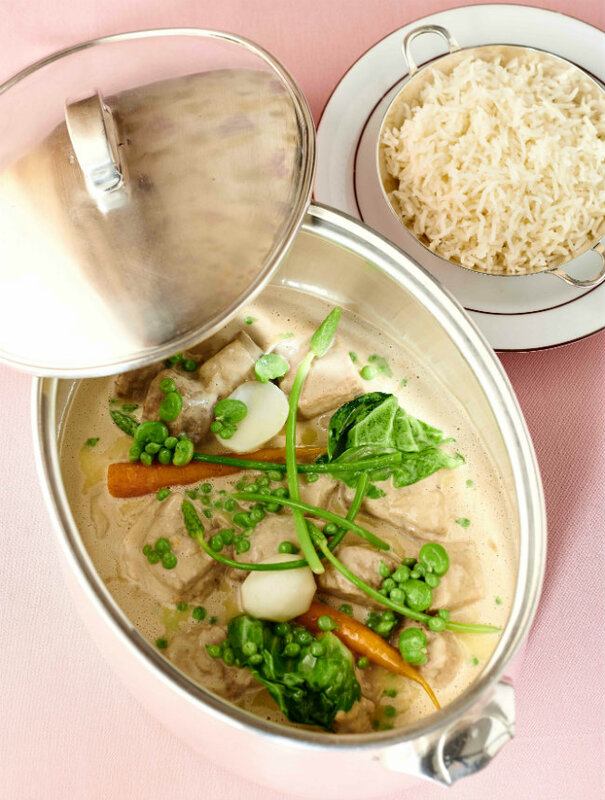 The adventure began when Paul Racat, owner of La Poule au Pot, dined at Piège’s Clover Grill, and mentioned that he was thinking of selling Poule Au Pot. “I made him an offer the next night,” says Piège. 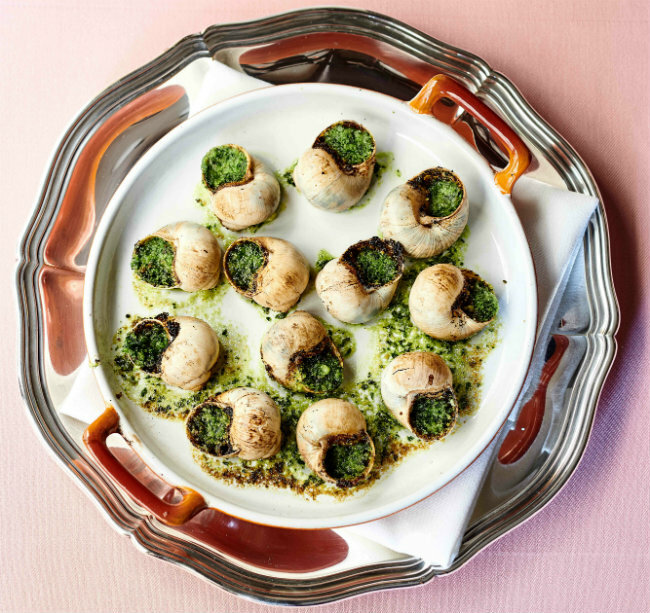 The neo-retro bistro serves up “bourgeois cuisine, but not classic – because “classic” refers to the past,” insists Piège. 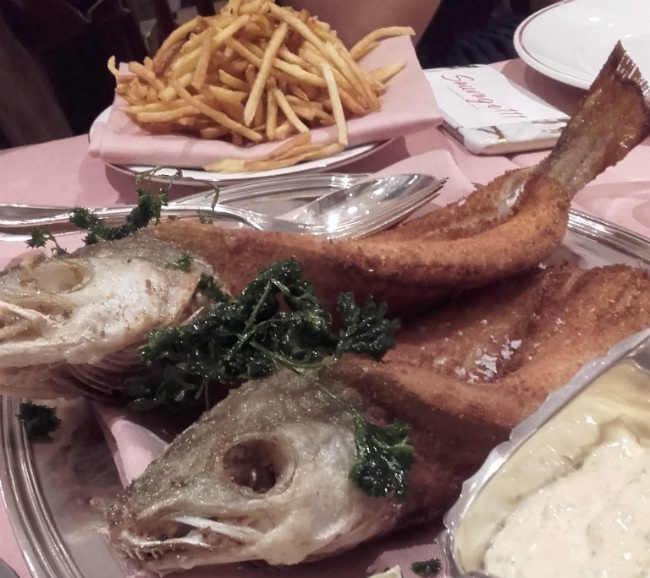 The dishes, traditionally served at La Poule au Pot remain. 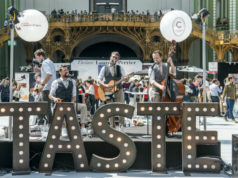 These include Onion soup des Halles; Snails and garlic butter; Frog’s legs; fat white asparagus (in season) sauce mousseline; sorrel omelette; and mains of fried Merlan (whiting) Colbert and skinny chips; golden ris de veau and morilles mushrooms; rognons de veau Dijonnaise; followed by cheese and tarts of the day, ice cream and cherry clafoutis. There’s a generous menu formula at €48 or A La Carte average spend is about €62 plus wine. We loved the sparkling Vin de Bugey Montagnieu from P Charlin, priced at €11 a glass or €49 the bottle. 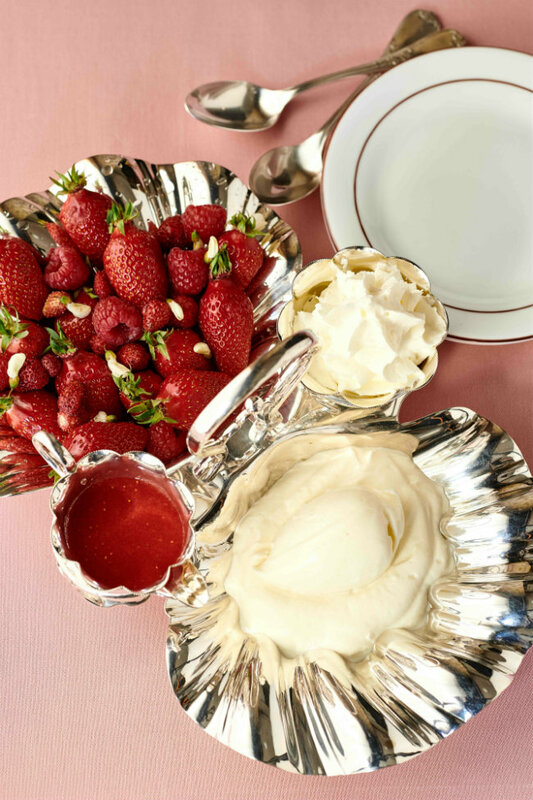 The dishes arrive on antique silver dishes picked up by the chef and Elodie on their travels. 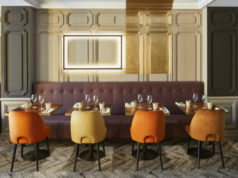 It’s a generous convivial vibe, diners serve themselves with silver spoons – accompanied by excellent wines, of course. Tall, dark, handsome, married to Elodie, his muse, celebrating the 10th season as a jury member on Top Chef M6 TV’s reality competition cooking show, Piège says he doesn’t need much sleep, and dreams about the next day’s menu when he does drop off. And, having lost nearly 30 kilos, he attributes his new regime to his young son Antoine. “I need to be supple to play with him,” he admits. With the help of a nutritionist and an acupuncturist, the chef has a new relationship with food – and only drinks wine on weekends. Read all about it in his book Zero Gras (50 recipes) published by Hachette Cuisine (€19.95). “I asked M6 candidates to create dishes without any fat – they came up with some incredible ideas,” he grins. Piège’s culinary path is strewn with passion, luxury and creation. He’s cheffed with the best – Ducasse, Bruno Cirino, Camdeborde, Christian Constant, and still sees them all, all the time. 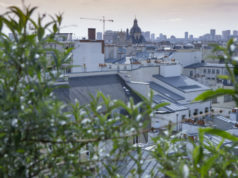 “Jean-François has never worried about mixing the codes of palace cuisine with bistro bites, and it works,” says Yves Camdeborde.